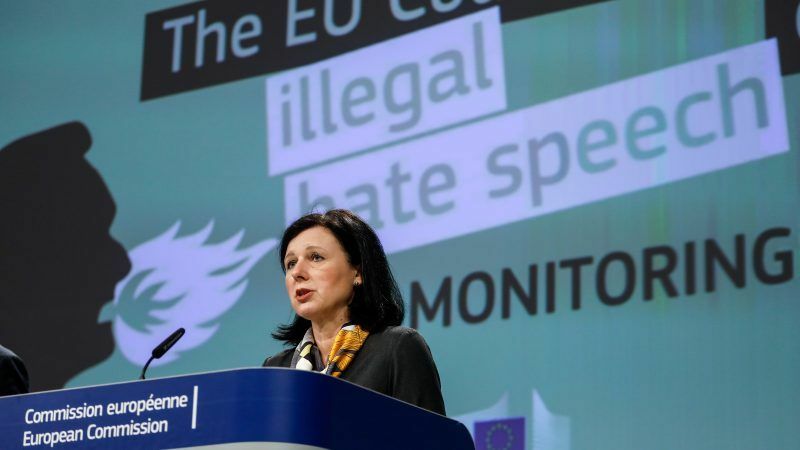 EU Justice Commissioner Věra Jourová stood by the EU’s principles that freedom of speech was not absolute at a panel discussion held in Brussels, saying that attempts to regulate hate speech were justified but her comments prompted a fierce debate. The Czech Commissioner was the keynote speaker at the ‘Freedom of expression – who draws the line?’ event and she defended the Commission’s ‘Code of Conduct’ on illegal online hate speech with Facebook, Google, Instagram, YouTube and Twitter. Under the Code, agreed in May 2016, the online platforms vowed to assess messages and remove, if necessary, the content deemed to be illegal under EU or national law. 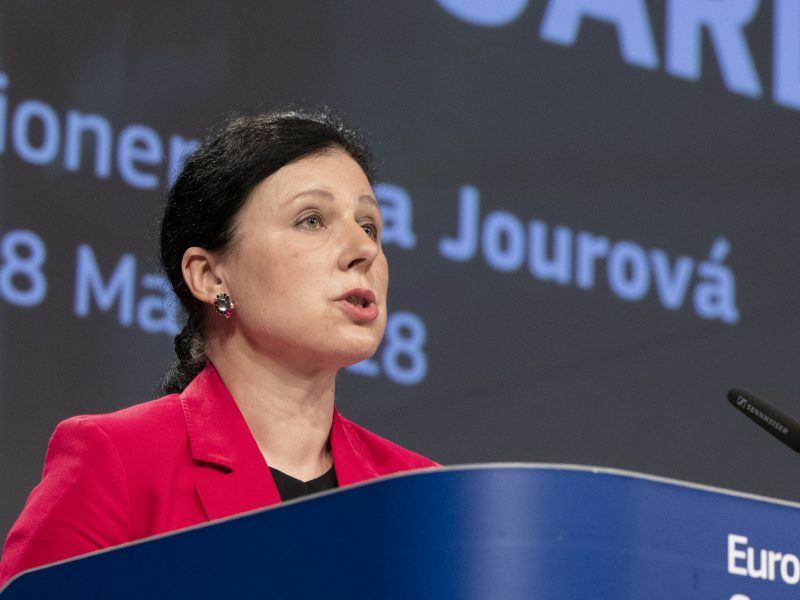 “Freedom of expression, including online, is one of the building blocks of free speech…and that includes language that is insulting and controversial,” Jourová told the panel, organised by EURACTIV. Inciting violence online was illegal whether online or offline, she said, adding that all EU justice ministers had welcomed the introduction of the Code of Conduct. Jourová added that Austria and France were among the member states that were considering a German-style law on ‘hate speech’ if the EU Code of Conduct did not prove successful. The Czech official stressed that she was “offended” by the suggestion that the Code amounted to censorship. Speaking in response to the Commissioner, Prof. Nadine Strossen, a former president of the American Civil Liberties Union, argued that the EU executive’s approach was misguided. “Hate is an emotion. There is no agreed upon concept of ‘hate speech’. One person’s ‘hate speech’ is another person’s cherished speech,” she added. “What the Commission is doing with the code of conduct is telling the IT industry ‘do it yourself or we will do it for you’,” she added. Sophia Kuby, the director of EU Advocacy for ADF International, also criticised the Code of Conduct and legislation on ‘hate speech’. “Censorship is always a step in the wrong direction. ‘Hate speech’ laws, as well as the EU Code of Conduct on ‘countering illegal hate speech online’, create a ‘you-can’t-say-that’ culture which silences debate and has a chilling effect on society. In a free society, ideas should be fought with ideas, not criminal penalties,” said Kuby. The introduction of a law on hate speech in Germany, and the prospect of a French law aimed at combating fake news, has led to speculation that the EU could also attempt to legislate along the same line. Jourová downplayed those prospects and said “we don’t want a ministry of truth”. “Lying is not illegal,” she added. For his part, Christoph Leclercq, the founder of EURACTIV and a member of the Commission’s High-Level Expert Group on Fake News, said that the group had taken a ‘co-regulation’ approach. He said that codes of conduct or practices were the best ways to regulate online platforms and called for better co-ordination across Europe. Lawyer Joachim Steinhöfel criticised the German Netzwerkdurchsetzungsgesetz law which came into force in October 2017 and carried penalties of up to €50 million for sites that do not remove “obviously illegal” posts. He argued that the law imposed extremely short timelines for deleting content, strict penalties and that there was a lack of judicial oversight of the law. He said the law was “completely superfluous” and “must be abolished”.